Last weekend I visited the Georgia Aquarium as part of a special tour organized by BarkWorld Expo and Apartment Guide. 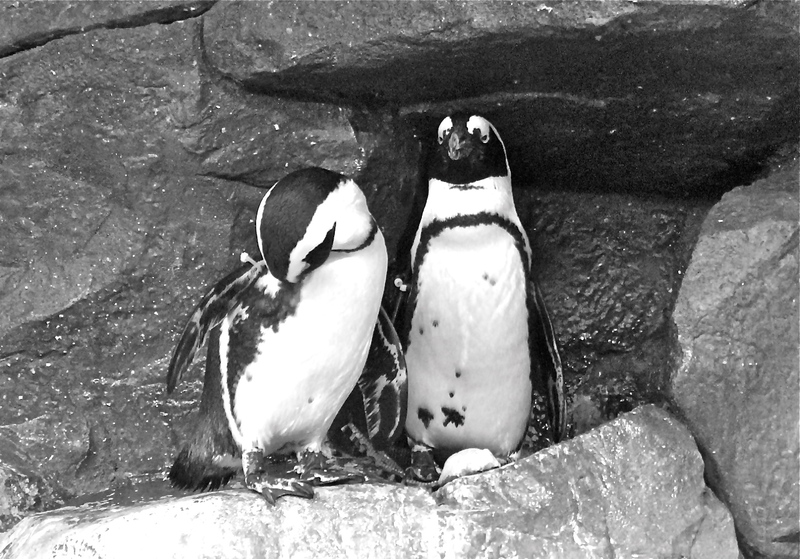 I think these penguins look great with a little black and white enhancement! Hope you enjoy them as much as I did! 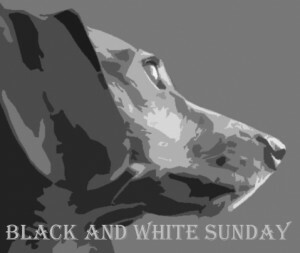 Now, head on over to the Black and White Sunday blog hop, hosted by You Did What With Your Weiner, My Life in Blog Years and Dachshund Nola, to see what everyone else is up to in Black and White! Ha! When I saw the thumbnail on the blog hop I wondered if it was from the aquarium. I only had time to run by the penguin exhibit. Black and white penguins on black and white Sunday. Perfect! Super clever and good use of the black and white theme!